Home > News > Geopolitics > Nicobar as an IAF base in the Indian Ocean: Strategic Asset or Liability? The Indian Ocean Region (IOR) is slowly but surely turning out to be an area where there would be or perhaps there already is a conflict of interest between China and India. At the opening of the 18th National Congress of the Communist Party, the outgoing Chinese President Hu Jintao had stated, “China will resolutely safeguard its maritime rights and interests, and build the nation into a maritime power.” In the pursuit of this objective, there should be no doubt that China will strive to dominate the IOR and her ongoing belligerence in the South China Sea is a clear indication of things to come. In this context, the Andaman and Nicobar Islands assume greater strategic importance to safeguard India’s interests particularly in the South East Asian region. One particular issue that confronts the nation today is whether the development of Nicobar as a major base of the Indian Air Force (IAF) in the interest of national security would be a strategic asset or a liability. The Nicobar Islands are an island chain located in the Eastern Indian Ocean and are a part of the 750-km long Andaman and Nicobar archipelago. The latter is a chain of 572 islands at the junction of the Bay of Bengal and the Andaman Sea. One of the seven Union Territories of India, the archipelago consists of two major groups of islands, the Andaman Islands and the Nicobar Islands. The Andaman and Nicobar group of islands is an extension of the Arakan Yoma mountain range of Myanmar some part of which is submerged in the Bay of Bengal only to re-emerge from under the sea before reaching Indonesia to constitute the Andaman and Nicobar Islands. This island chain is separated from Thailand and Myanmar by the Andaman Sea. Currently, only 37 of the 572 islands are inhabited. Port Blair is the capital city of the Andaman and Nicobar Islands. Flanked by three nations, Myanmar, Thailand and Indonesia, the Andaman and Nicobar Islands are located at a distance of 1,250 km from the nearest shore on the Indian mainland. The Northernmost part of the chain is the Landfall Island, is only around 42 km from the Coco islands that are located off the West coast of Myanmar. Incidentally, Coco Islands have been leased by Myanmar to China that has set up signal intelligence facilities to monitor the activities of the Indian armed forces in the Bay of Bengal as also the launch of missiles by the Defence Research and Development Organisation and space vehicles by the Indian Space Research Organisation. Indira Point, which is the Southern most tip of the chain of islands, is about 160 km from Banda Aceh, the largest city in the Northern part of Sumatra in Indonesia. The total area of the Andaman and Nicobar Islands is 8,249 sq km. In the early 11th century, the Andaman and Nicobar Islands were under the control of the Chola empire which fully exploited this territory to fulfill its strategic ambitions which included waging wars against the Sri Wijaya empire in Sumatra. In the 17th century, the island territories were used as a base by the Marathas. It was from here that the Maratha Admiral Kanhoji Angre launched operations against the British and the Dutch. Admiral Kanhoji Angre has been credited with annexing the Andaman and Nicobar Islands to India. The modern history of Andaman and Nicobar Islands began in 1788 when Lord Cornwallis, the British Governor General of India was instrumental in the establishment of the first British settlements on Chattam Island, a small entity near Port Cornwallis. In 1857, the British regime at Andaman and Nicobar Islands founded a penal settlement which came to be known as the “Cellular Jail”. This was established to house criminals, especially the rebels who were charged with disloyalty to the British regime. In the year 1942, the Andaman and Nicobar Islands were captured by the Japanese who remained in control of the islands till October 1945. Thereafter, the Andaman and Nicobar Islands came back under the control of the British and remained so during their rule in India. After the British left India, the Andaman and Nicobar Islands became part of the Union of India in 1950. 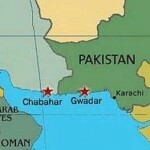 In 1956, the island group was accorded the status of a Union Territory of India. The Andaman and Nicobar Islands, dominate the Bay of Bengal and particularly the Six Degree and Ten Degree channels, a region through which more than 94,000 vessels carrying cargo and oil pass through every year. More importantly, the Andaman and Nicobar Islands dominate the critical maritime choke point at the Strait of Malacca, a narrow, 850-km stretch of the sea that lies between the Malay Peninsula and the island of Sumatra. The Strait of Malacca provides a maritime link between the Pacific Ocean on one side and the Indian Ocean on the other. The entire global shipping that passes through the Strait of Malacca must cross the Six Degree Channel. Besides, 30 per cent of India’s Exclusive Economic Zone lies around the Andaman and Nicobar Islands. India is heavily dependent on the Sea Lines Of Communication (SLOC) in this region as around 90 per cent of her trade and import of oil pass through it. For India, the Strait of Malacca particularly is of vital importance as a large proportion of India’s trade passes through it. Also, the Strait of Malacca helps in linking the major Asian economies such as India, China, Japan and South Korea. Commerce with South Asian and East Asian nations accounts for around 45 per cent of India’s foreign trade. Like India, China too is heavily dependent on the SLOC in the Indian Ocean Region and specifically, the Strait of Malacca as a bulk of her trade including the import of oil passes through this region. The geographical proximity of the Andaman and Nicobar Islands to the Strait of Malacca is, therefore, of tremendous advantage to India. With a resurgent economy and its wider integration with the global economy, its dependence on the SLOC in this region will only increase. It would thus be India’s interest to ensure that the SLOCs are secure and that there is no interruption in the passage of commercial vessels to and from India. If India can dominate the SLOC in the Indian Ocean Region and especially at the strategic choke point in the Strait of Malacca, it will be in a position to disrupt shipping and seriously impinge on the Chinese economy. The other important consideration is India’s ‘Look East’ Policy. Formulated initially by the Narasimha Rao’s government in the wake of economic liberalisation of the early 1990s and vigorously pursued by successive governments, the objectives of India’s ‘Look East’ Policy is to cultivate economic and strategic relations with South East Asian countries in order to bolster the nation’s effort to emerge as a regional power. It also serves to develop a counterweight to the strategic influence of the People’s Republic of China which is becoming increasingly relevant with its growing belligerence in the South China Sea and rising international tensions. India would have to seriously consider enhancing strategic and security cooperation with South East Asian nations and the Asia-Pacific region. In this effort, the strategic location of the Andaman and Nicobar Islands if properly exploited, would enable India to play a more effective role militarily to counter any threat that may pose a challenge to national security interests. Since attaining independence in August 1947, the nation has constantly been grappling with security challenges emanating initially from Pakistan and then from China. 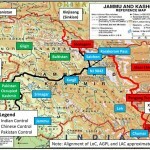 Over the last decade or so, development of military related infrastructure by China in Tibet across India’s Northern border for the speedy and massive deployment of ground forces, enhanced aerial activity by combat aircraft of the People’s Liberation Army Air Force (PLAAF), frequent incursions across the Line of Actual Control (LAC) by elements of the PLA, the escalating conflict in Jammu and Kashmir, India’s open support for the independence of Balochistan and China’s efforts to block India’s entry into the Nuclear Suppliers Group (NSG), have only served to further heighten tensions in the region. 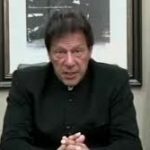 At this point in time, the conventional as well as nuclear threat from both China and Pakistan, individually or in collusion, appears to be rapidly becoming a real possibility. Historically, India’s military focus has, for good reason, been largely Pakistan-centric with moderate shift in the recent past to the North and North Eastern frontiers against China. Except for a peace-keeping effort by Indian forces in Sri Lanka in 1987 that was undertaken on a voluntary basis and not against any perceived hostility from any country, the peninsular region of the country i.e. South India, has never been confronted with military threat of any kind. Quite understandably therefore, the Andaman and Nicobar archipelago, which is around 1,250 km away from the mainland, has so far figured only marginally in the security calculus of the nation. Free from any external military threat or conflict of any kind, the Andaman and Nicobar Islands had since independence remained a very small part of the Indian defence architecture. However, after the conflict with China in 1962, somewhat wary of Chinese intentions, the Government of India tasked the Indian Navy with the responsibility of the defence of the Island. Pursuant to this aim, in the early 1960s, the Government of India sanctioned the establishment of a naval base. Named after the Jarawa tribe on the Islands, the Indian Naval base christened as INS Jarawa was formally commissioned in 1964 and had on its inventory primarily small amphibious ships. INS Jarawa was renamed as Fortress Andaman, FORTRAN for short, in 1981. The naval air component named as INS Utkrosh was established near Fortress Andaman in 1985. While the Indian Navy dominated the scene, the presence of the Indian Air Force (IAF) on the Andaman Nicobar Islands was only nominal. Fortunately, the island of Car Nicobar had a 3,000 feet bitumen runway that was built by the Japanese during their occupation of these islands in the period 1942 to 1945. After the defeat of the Japanese forces in World War II, the Royal Air Force of Britain used the airfield at Car Nicobar as a refuelling stop for their aircraft flying from Colombo in Sri Lanka to the RAF bases in Singapore or to Butterworth in Malaysia. The IAF commenced operations at Car Nicobar in 1956 with the establishment of a Staging Post essentially for refuelling of aircraft flying logistics support missions from the mainland across the Bay of Bengal. Such missions continue on a regular basis even today to support not only the IAF establishment but those of the Indian Navy, the Indian Army, the Indian Coast Guard as also other establishments of the central government. The IAF extended the runway at Car Nicobar to nearly 9,000 feet in 1967. The first helicopter of the IAF, a Mi-8, was inducted at Car Nicobar in 1982 and was built up to a Flight strength by April 01, 1985. This was followed by a few Dornier twin engine light transport aircraft essentially for communication duties such as inter-island courier flights. The IAF inducted an Air Defence unit as well. With the increase in the level of forces deployed, the air base was upgraded to a Forward Base Support Unit (FBSU) on August 23, 1986. The FBSU was subsequently replaced by No 37 Wing that was established on September 15, 1993. Tragically, in the tsunami that hit the island in December 2004, the Air Force Station at Car Nicobar was devastated with extensive damage to infrastructure and heavy loss of life. It took the IAF a little over three months to restore its operational status. Unfortunately, on account of this natural disaster, the IAF placed its plans to deploy combat aircraft on the island on hold. The evolution of the Andaman and Nicobar Islands as a base with strategic capability went through a paradigm shift in 2001 with the establishment of the first tri-service theatre command. Designated as the Andaman and Nicobar Command, its headquarters was located at Port Blair. This integrated Command was created to eventually build up a credible force as well as the capability to deploy these forces rapidly to safeguard India’s strategic interests in South East Asia with particular focus on the Strait of Malacca. The Andaman and Nicobar Command has under it 15 ships of the Indian Navy, two Naval sea bases, one IAF airbase, three Naval Air Stations and a Brigade of the Indian Army. What was and continues to be conspicuous by its absence is its combat air arm. This is perhaps because the IAF, the recently finalised order for 36 Rafale combat jets notwithstanding, is currently afflicted with serious erosion in the strength of its fleet of fighter aircraft. Given the volatile situation along the Western and Northern borders of the country and faced with the prospects of further reduction in the size of fleet of combat aircraft, the IAF is unlikely to be in a position at least another five to seven years to spare frontline fighters for deployment in the Andaman and Nicobar Island. However, the Su-30s of the IAF have been occasionally operating from the IAF base Car Nicobar while participating in joint air exercises. The Andaman and Nicobar Command is the nation’s first and currently the only theatre command with three-star Commanders-in-Chief from the Army, Navy and Air Force taking over in turn and reporting directly to the Chairman of the Chiefs of Staff Committee. Although it has been in existence for a decade and a half, there has not been any significant progress so far in the development of both military capability and the required infrastructure to undertake tasks towards the fulfillment of strategic objectives. The Andaman and Nicobar Command is expected to be the cornerstone of India’s military strategy as well as a platform for the projection of military power in the Asia-Pacific region. What is most conspicuous by its absence is aerial combat power by way of long range fighter aircraft of the IAF such as the Su-30 MKI. Development of substantial military capability under the Andaman and Nicobar Command will also provide strategic content to India’s Look East Policy. Naval Air Station Shibpur. Established in 2001 as a Forward Operating Air Base (FOAB) for enhanced surveillance in North Andaman, in 2009, the Government of India accorded sanction to develop Shibpur as a full-fledged airbase for round-the-clock operation with a 12,000-foot long runway. Port Blair. A Naval Airbase (INS Utkrosh), the airfield has a runway that is 10,794 feet long which is long enough to operate combat aircraft. The airfield has a civil enclave as well for regular operation of domestic civil flights connecting with the mainland. Car Nicobar. Operated by the IAF, the 8,914-foot runway is long enough to handle combat aircraft. However, the airfield needs to develop the infrastructure and facilities required for regular and high intensity operation of at least three squadrons of the latest generation combat aircraft. Campbell Bay. This the Southernmost Naval Air Station in the Andaman and Nicobar Islands that houses the Naval Air Station known as INS Baaz. The 3,000-foot long runway is to be extended to 6,000 feet by the end of the year and then to 10,000 feet. Currently, the airfield does not have a facility to either maintain or refuel aircraft. However, the Indian Navy plans to upgrade the air base to enable operation by heavier military aircraft such as the C-130J and the C-17 Globemaster III of the IAF. As this base will be the closest to the Strait of Malacca, it has the potential to play a major role in monitoring and securing of maritime traffic passing through it. INS Baaz will be a highly suitable airbase to house high performance combat aircraft. While the Tri-Service Andaman and Nicobar Command is currently weighted heavily in favour of Naval forces and rightly so as, there is certainly a need to beef up both the Indian Army and the IAF components, especially, the offensive capability of the latter. This has acquired a degree of urgency in view of the increasing activities by China not only in the South China Sea but also in the Indian Ocean Region. Reports in the past have suggested that the PLA Navy has been operating close to the Coco Islands off the West coast of Myanmar. Currently, the Su-30 squadron based at Air Force Station, Kalaikunda in West Bengal has been assigned the responsibility of providing combat air support required by the Andaman and Nicobar Command. This arrangement is neither practical nor expedient from the point of view of the need from swift response and other operational imperatives such as the need to ensure air superiority in the region. It also militates against the concept of the Andaman and Nicobar Island being an unsinkable aircraft carrier. There is clearly a need to create the necessary infrastructure for operations as also for first and second line maintenance as well as develop the airfield at Air Force Station Car Nicobar into a full-fledged fighter base that can house at least two to three Su-30 MKI squadrons. It would also be necessary to nominate and suitably upgrade one or two other airfields on the Andaman and Nicobar islands for fighter aircraft to divert and land there in the event of an emergency or blockage of the primary runway. What will however remain a lurking anxiety is the possibility of another devastating tsunami. I suppose the IAF must take the risk in the interest of national security.